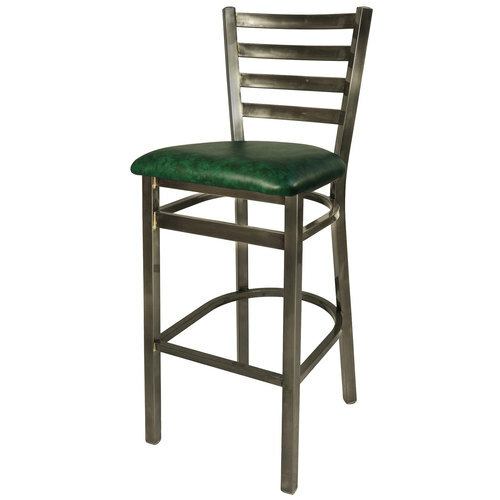 BFM Lima ladderback Clear Coat steel frame bar stool with vinyl (pictured) or wood seat. Made from cold-rolled steel with eye-catching brass weld construction. The exposed raw material shows through a durable powder coat finish for a striking look in any industrial chic or modern interior space! Optional Higher Grade Vinyl prices vary; please call!